Bali is one of the hottest tourist destinations in the world, known for its natural beauty and amiable culture. And hence a trip here is incomplete without a relaxing massage session. For tourists and folks alike, there is Reborn Healthcare- one of the best healthcare centres around. The place provides various relaxing sessions, with vivid and varied oil extracts that are typical of the place. If you are visiting Bali, ensure to stop by at least once and indulge for a rejuvenating time. 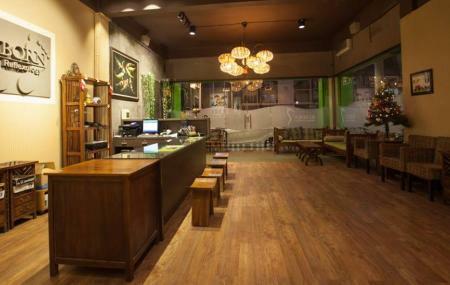 The staff is very friendly and the entire ambience makes it feel like a ‘True Balinese’ experience. Reborn Healthcare is not a popular tourist spot and visitors exploring prime attractions like Tanah Lot Temple, Tirta Empul, Mount Agung, Mount Batur and Bali Bird Park. For more popular attractions visit things to do in Bali. Explore Reborn Healthcare and other prime spots of the city using Bali trip planner. You won't miss your home when in Bali, hotels in Bali like Yulia Village Inn Ubud, Bije Sari Suite Bisma, Batu Empug Ubud and Gatra Ubud Inn offer some of the best places to stay in the city. Prices may vary as per services. We tried this place twice. Overall, the price is very reasonable and the facility and the service is nice. Speaking of the quality of massage itself, it defers a lot depending on who the masseur is. The one who gave massage first time was really disappointing, even tho I heard the Balinese massage is soft, it was way too soft and I felt that he did not really care. The next day I got massage from another masseur and this time it was so different. I would say it was one of the best massage experience. He really cared a lot and kept himself really busy for the 2 whole hours. Too bad I did not ask his name. The place was nice and clean. The treatment was amazing, the staff was nice especially Santi who was my therapist at that time, thumbs up for her. Will always be back. I've had almost a hundred massages in Thailand, Malaysia, Hong Kong and Australia but this was by far the best massage I've had for sore muscles. The service was great, Ekka was not only great with technique but also very perceptive about my reactions and adjusted accordingly All this for $16 Australian? Can't recommend her enough! I always go here for a massage. Good service and good value for money. But going here is like a gamble, sometimes you'll get a good massage and sometimes it'll just ok, depends on the therapist.